In a special note today to players thanking them for six years of support, Zynga chief operating officer Clive Downie revealed three new mobile titles soon to be released worldwide, including a FarmVille 2 game that's completely different from its Facebook counterpart. 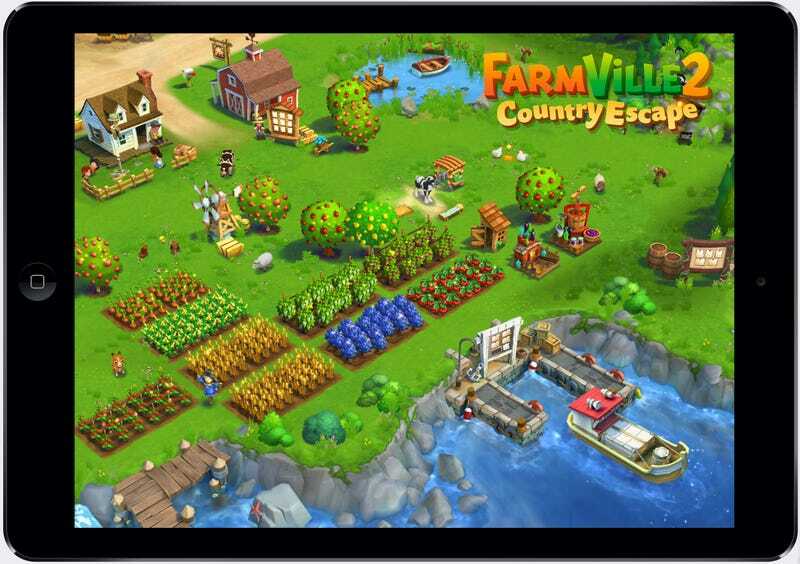 Zynga first attempts at porting its 'Ville series of web-based social titles to mobile were pretty bad, to the point where the version of the original FarmVille that appeared on iPhone a few years back was scrapped entirely. Since then the company has focused on creating companion games rather than full ports, with titles like CityVille Hometown and CastleVille Legends representing their Facebook brothers on mobile phones. FarmVille 2: Country Escape is, along those same lines, connected to FarmVille 2 proper, but not a port. Set in a coastal town, players will be able to transfer resources like water to Facebook FarmVille 2, but otherwise it's a separate farming experience. It's also the first FarmVille game that can be played offline without an internet connection, so that's something. Along with Country Escape, Zynga is also updating two of its most popular games, tossing the adjective "New" in front of Zynga Poker and Words with Friends. The new Zynga Poker has been rebuilt from the ground up, implementing new technology that automatically adjusts to the player's skill level, placing them at tables with those of similar proficiency and play style. New Words With Friends boasts a sleeker, more social experience and adds a new dictionary feature with audio pronunciations. Players' entire game history will be carried over from the original game to the new version. All three titles in Zynga's new mobile initiative will begin testing in select markets soon, with plans to roll them out wide later this year.